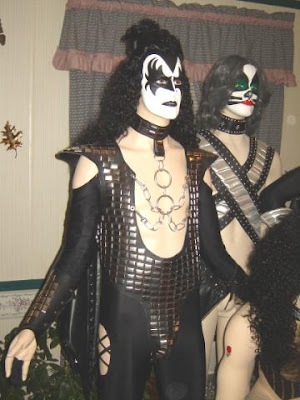 KISS COSTUMES & BOOTS: ONE STEP CLOSER TO THE PREMIERE OF THE MOST AWESOME SET TO DATE! ONE STEP CLOSER TO THE PREMIERE OF THE MOST AWESOME SET TO DATE! 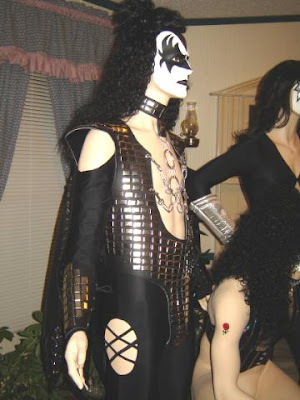 Feast your eyes on the latest demon!..We have been updating you periodically on these mannequins..Within 2 weeks we will unveil the entire set in all their glory! WE TRY TO DELIVER DEAD ON PERFECTION...WE MAKE MISTAKES SOMETIMES...BUT WE ARE HUMAN...SO FAR THE BUZZ IS WE ARE THE BEST...WE HAVE HANDLED MANY OF THE TRIBUTE BANDS....KEEP A WATCHFUL EYE OUT ..THE BEST IS YET TO COME!